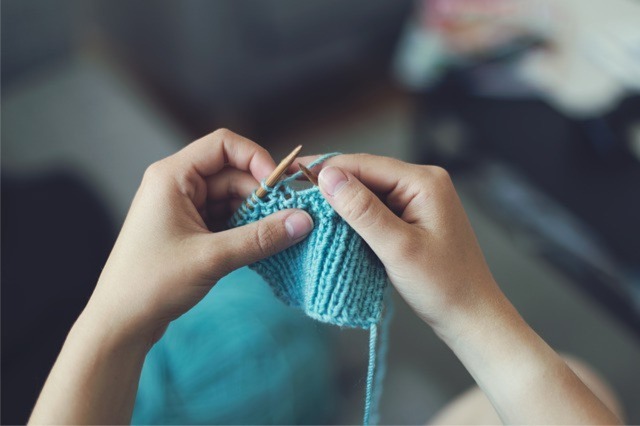 You are here: Home / Craft / How Should I Knit If I’m Left Handed? At first glance knitting may not appear to favor left or right handed people. After all, you need to hold two needles and you have two hands. However, once you start learning to knit, you’ll quickly realize that most guides focus on right handed people. The first step is to hold a needle in both hands and create a slip knot. One hand holds the needle while the slip knot is slid over it; this becomes the dominant needle. The other hand holds the yarn and winds it round the first needle before sliding the second needle through and securing the stitch. In fact because the basic knitting style uses both hands you’ll find right handed people adopting the left handed style of knitting and left handed using the right handed style. The truth is that you can try any style and use the one that you are most comfortable with. What really makes a quality knitted product is using the best quality yarn, such as the huge array of yarns you can get from the Aussie Knitting Co. This style puts the yarn in the opposite hand to the knitting needle and may be preferably to left handed people as it retains control on the left. In general this is also the faster knitting method of the two. All you need to do is slip the right needle through the loop of a new stitch; which is made by the left hand just above the needle. The left forefinger then holds the stitch in place as the left needle slides out and leaves the new stitch on the right. When you reach the end of a row the needles switch hands so that you continue in the same vein. It is possible with practice to reverse this stitch and have the left hand needle go through the loop. But, in practice there is little need to reverse the style. This type of knitting is actually often referred to as right hand knitting as it favors the right hand. It also originated in England, hence the more traditional name. In this style the yarn is wrapped around your right hand to keep it taut. The right hand also holds the needle with the most recent stitches on. Your yarn must sit behind the two needles. This will allow you to make a loop stitch onto the left needle; the right needle can then slide through this loop and take the stitch. You then move onto the next stitch. As already mentioned both techniques are possible for left handed people. You simply need to practice both and decide which is your preferred technique; in the same way that a right handed person needs to practice and decide.